Ask random people about the industries where additive manufacturing or 3D printing is making its most substantial impact, and you are likely to get varied answers. Opinions are likely to range from chocolate bar printing and construction of an entire building to the famous unchartered territory of printing human organs. Other people will cite prototyping as the most significant application of 3D printing. It’s an undeniable fact that the 3D printing technology has been around for over three decades. It has evolved incredibly and doesn’t confine itself to the provision of more cost-effective prototyping approach. The technology has developed to provide a wider proposition to different areas in the industrial manufacturing world. Indeed, automotive and aerospace design and manufacturing engineers find 3D printing to be an indispensable tool in their daily activities. According to Trimantec, the evolution of the 3D printing technology has been helping power the entire manufacturing industry, creating new employment opportunities, and encouraging innovations across the world. Indeed, the technology promotes efficiency, sustainability, and innovation. Trimantec is a company that aims at fostering growth within the American manufacturing sector by helping manufacturing businesses to become more competitive and profitable. In many ways, the history of 3D printing technology has resulted in significant bias in tools, machines, and manufacturing processes. The technology focuses on simplifying the entire process transforming a simple design into a finished product. This could be the reason 60 percent of all the 3D printed parts are majorly created for rapid prototypes. It’s worth mentioning that the intense focus on rapid prototyping seems to limit tools engineers. That means that these professionals should focus on understanding the 3D printing technology because more and more companies appear to be embracing the technology. The additive manufacturing needs a unique approach to the current manufacturing methodology that almost every manufacturing firm has implemented for the design and production of parts. The traditional companies that opt to invest and use 3D printing technology in their ecosystem tend to overlook the material process. That means the application of 3D printing becomes a second thought in the entire design process. To understand and maximize the technology allows when utilizing new materials, the material scientists, industrial designers, and mechanical engineers should work in harmony from the start to understand the new material properties correctly. Despite its outstanding history in the traditional designing and manufacturing activities, we are still in the early times of 3d printing technology with respect to the conceptual and technological impact it can deliver. Thus, embracing new design approach (3D printing) is the initial step. Well, probably you’re still wondering, ‘what the heck is a digital factory?’ The term has been floating around for quite some time and has different definitions. 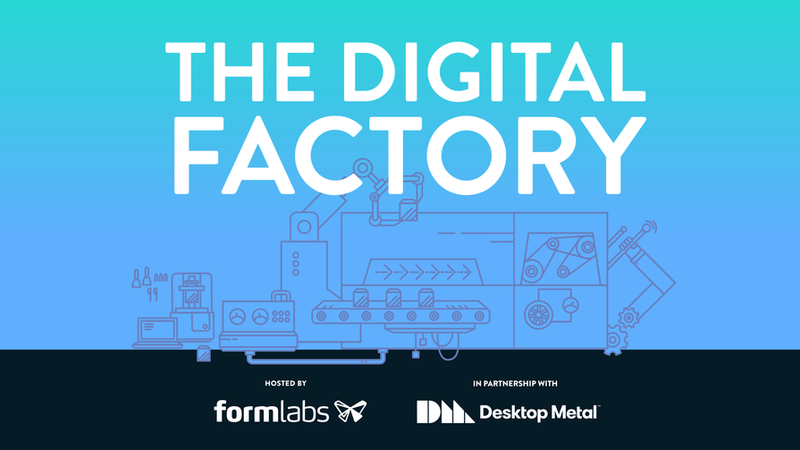 A digital factory is a comprehensive portfolio of software and hardware products that communicate and automate to allow a comprehensive integration of data from different such as designing, manufacturing, and supplies. Organizations that aim at achieving a fully-integrated digital factory must invest externally and internally. That means these manufacturing firms must hire and develop people, focus on managing the significant changes in the workflow, and integrate new, more effective software solutions into their processes. Next Next post: How Online Recharge Has Changed The World Completely?